I led a discussion in class yesterday, about ‘youth’. “Am I old or young?” I bravely asked a room full of 13 year olds. Without missing a beat, 27 voices chorused, “Old.” I laughed. We went on to discuss how ‘youthfulness’ can be a state of mind. In my heart and mind I am young. My body sometimes has other ideas, but like my 70-something great aunt, my hope is to live a long life with as many youthful assets as I can retain: a curious mind, a thirst for knowledge, a child-like sense of wonder and joy, and may I never lose the desire to laugh out loud. Most importantly, I want always to have an adventurous spirit. So here I return to tales of my adventures, those endeavours that have thrilled me, terrified me, challenged me, and taken me far from my usually comfortable, urban life. I get grubby, wet, sweaty, cold, and hot, all while my heart pounds from exertion, fear or excitement. 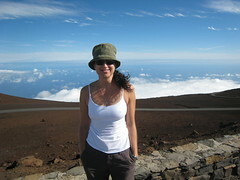 This is me in ‘Adventure Chick’ mode. White Water Rafting Austria. Bali. New Zealand. Scariest: Austria. I was thrown in the water, and had to swim against the current while rapids rapidly approached. Hilarious, apparently, to those on the raft. Most fun: New Zealand. I can hear the guide’s voice in my head: “HOLD ON! GET DOWN!” We did as we were told, and we survived, all while I shrieked with gleeful laughter. Cold, wet, and worth it. 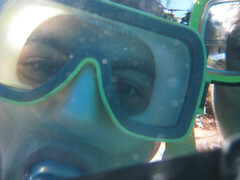 Sea Kayaking Queensland. Double kayaks, paddling out to sea and into the coves of Magnetic Island. I worked those back and arm muscles, while synching with Ben’s paddle strokes. Swam in a bathwater warm bay, breakfasted on white sands, and paddled past a sea turtle on return. Sailing Whitsunday Islands. Cyclades Islands, Greece (8 days). Magnetic Island. My first few times on a yacht, I nervously clung to the railings, fearing a fall into the depths of the ocean. Now I seek opportunities to get back out onto the water, because I love it. Boomnetting is sitting in a giant net off the side or the back of the boat. It is mad, and scary, and fun. Ben climbed up the net, onto the boat, jumped off the front of the boat and latched onto the net as the boat sped past. Crazy. Firing a handgun Las Vegas. My heart was pounding – before, during and after. It was thrilling, but I do not feel the need to do it again. I wanted to know what it felt like and now I do. 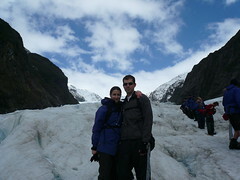 Glacier Climbing Franz Josef, NZ. We donned spikes and we climbed, up and up. It was cold, I feared falling into an endless crevice or toppling down the ice steps, but the icy landscape was otherworldly, and well worth the climb. Mountain Biking Bali. New Zealand. Austria. The Bali ride was a road trek from Ubud, through villages and rice fields. Highlight: slapping hands with the kids who lined the roads to say ‘hello’. 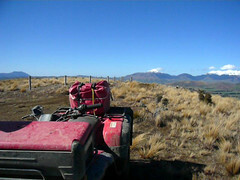 Wanaka, NZ: My first time off road, a 30 km trek along bush paths. Muddy, scary, fun, and a windy ride back along the lake. Water-skiing Swan River and Waroona Dam, WA. Corfu, Greece. My first time was terrifying, until the boat took off and I skied across the dam. 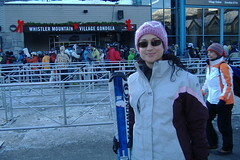 I was hooked, and skied every spring and summer for years. Someday I will dust off my ski and get back behind the boat. 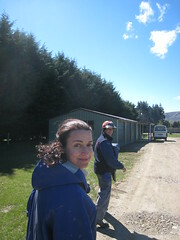 Quad Biking Te Anau, NZ. The most fun I have ever had outdoors. These bikes have gears, and they go! We were on a working farm, so rode amongst the sheep and cows. We climbed a minor mountain, and sludged through the bogs. Muddy from top to toe. Exhilarated. Paragliding Corfu, Greece. Terrified of being so high, but all that was forgotten as soon as we lifted into the sky. Peaceful and gentle with a great view. Abseiling Utah. Western Australia. New South Wales. This still scares the hell out of me. Every time. But I do it, because the adrenalin lasts for hours. Horse riding Western Australia. Paradise, NZ. I don’t have luck with horses – one tried to roll on top of me, one threw me, and one ran me through low branches. 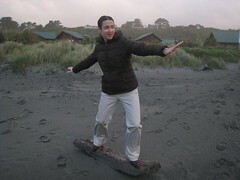 I got back on the horse last year in NZ. Wasn’t (too) scary, even though Seth had a mind of his own. The ride was spectacular, and included locations from The Lord of the Rings. Hiking New South Wales. Peru. Hawaii. California. Austria. Blue Mountains. Switzerland. Most spectacular: Switzerland: Hiked from the last train stop before the summit of Jungfrau to Lauterbrunnen on the valley floor. Snow to start, grass to finish, blue skies the whole way. Yodellay-hee-hoo. 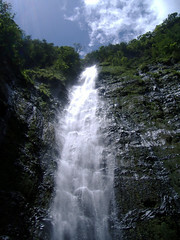 AND Maui: From Seven Pools, south of Hana, to Waimoku Falls. Hot, sweaty and totally worth tripping over tree roots to get to the spectacular 400 foot falls. Ben and I ran through the bamboo forest on the way back, like Jack and Kate from LOST. Waterhole swimming Western Australia. Maui. Hiking, climbing, crawling over boulders to get to hidden waterholes. 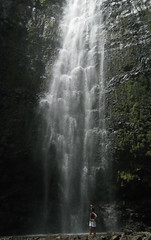 Best: The Three Bears Waterfall on Maui. Ben and I climbed under a bridge, over giant boulders, and through trees to get to it. It was so cold that it was hard to breathe, but we did it. Skiing Mt Hotham and Mt Buller, Victoria. Breckenridge, Colorado. Whistler, Canada. First time: 17, hated it. Fell down the mountain. Second time: 37, loved it. I am better at it now, but have been very scared on blue runs. Whistler was icy and terrifying. 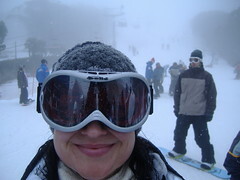 Mt Buller had no visibility, so I was more brave and skied blue runs – I have more guts than style. Riding Shotgun Greece. California. Sydney. Peru. This is when I ride on the back of a scooter or a motorcycle. I love it. I rode a scooter when I lived in LA, but it is more fun when someone else is in charge. I fell for Ben a little while I had my arms wrapped around his waist and we followed winding roads around Greek Islands. 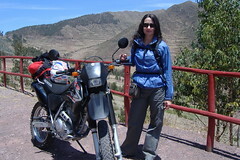 In Peru, I was brave, as the motorcycle was big and the roads were deadly. Skydiving Christchurch, NZ. Ben went first, and watching him get sucked out of the plane made my heart stop. The first 6 seconds when I plummeted to earth, strapped to a tall stranger, were the worst of my life. Freefall was exhilarating. The shoot opening brought me relief, until we started spiraling towards the ground, and the final 100 metres was like paragliding, and I loved it. “How was that,” Ben asked, smiling. “That was horrible,” I replied. And most of it was. Never again. But I did it. Adventure Chick did it. Thank you to Ben, who took some of these with his camera.